Miniature truffle like cupcake dipped in chocolate. Flavors of cake as well and color of chocolate can be selected to fit your celebration. 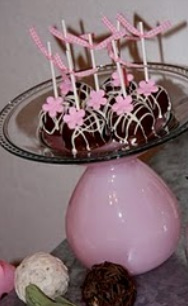 Please inquire regarding other styles of cupcake pops that can be made. 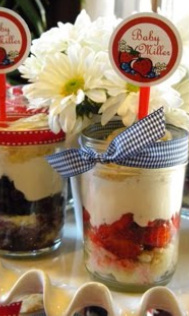 A cute way to display your sweet confections. Mix-and-match cake, frosting and or fillings. Cute ribbon and or cake picks can be added to fit your celebration. 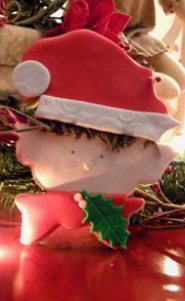 Sugar cookies are a sweet and tender cookie that can be created in any design. 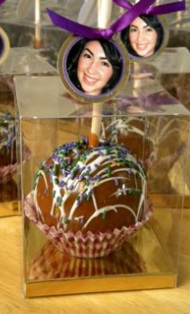 Candy apples dipped in the finest caramel. Topping may be added as well as chocolate. 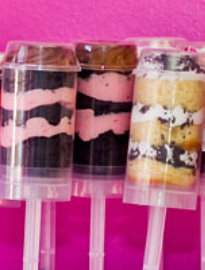 Delicious layers of cake and frosting stuffed in a no mess push-pop container. Mix-and -match cake and frosting. Labels may be added to container to match your party celebration.